Modulating/Condensing Boilers are the new standard in heating systems for comfort, mechanical and energy efficiency, and environment consciousness. Advanced Comfort Systems can install a Mod/Cons heating system for you with Weather Response Controls to provide a new level of comfort with incredible fuel savings at your home or office. 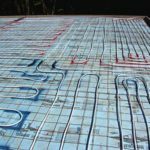 Radiant Heating Systems have steadily gained popularity for their high efficiency and unmatched level of comfort, and Advanced Comfort Systems is your specialist for radiant heating systems in the Hudson Valley. 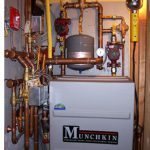 Our installation techniques for new construction offers unmatched engineering, but we can also offer you radiant options for existing homes and existing heating sytems. Surround yourself with a state of the art radiant heat system from Advanced Comfort Systems.